The Parametric Analysis feature can loop through a range of thicknesses for one or two layers, while simultaneously designing the thickness of another layer. This feature will optimise up to three layers. 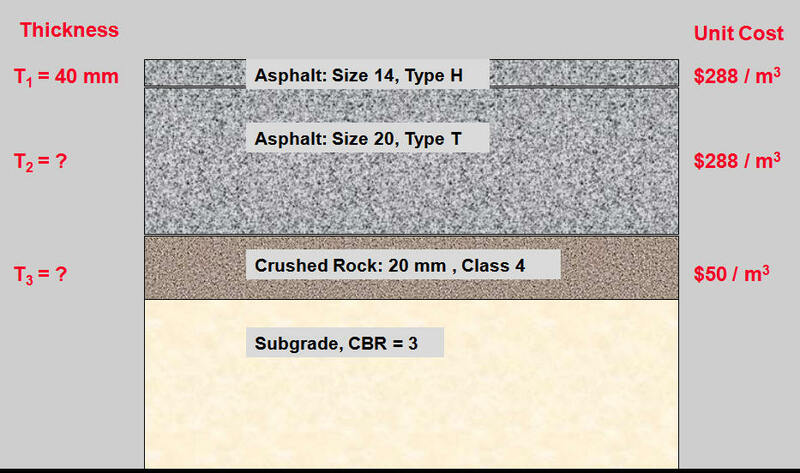 Combining this with the Cost Analysis feature, allows for fine-tuning of layer thicknesses to minimize construction and maintenance costs. In this Case Study, the thicknesses of the 2nd and 3rd layers are treated as unknowns. 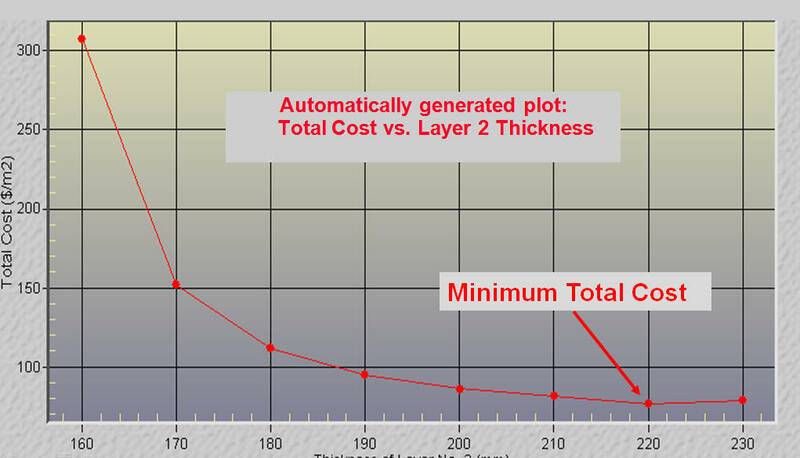 We use the Parametric Analysis feature to loop through a range of thicknesses for the 2nd Layer. At the same time, we use the Automatic Thickness Design feature to determine the thickness of the 3rd. layer.